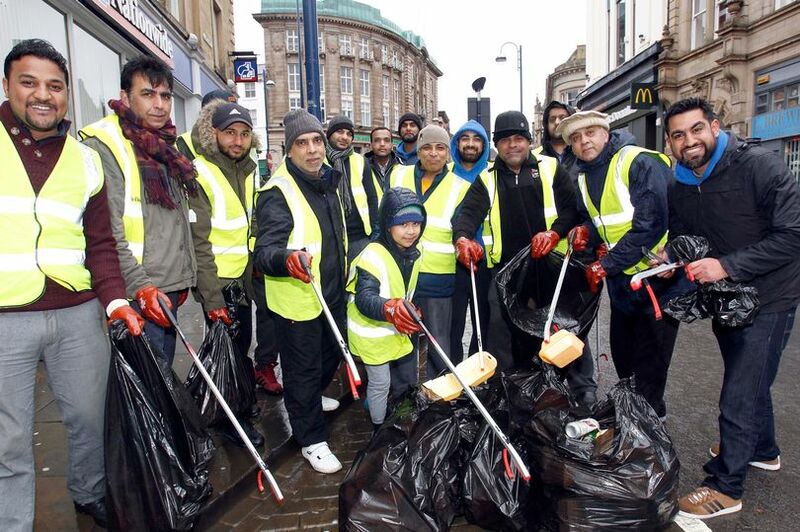 Public spirited volunteers from a Muslim youth organisation will be tidying up Huddersfield town centrestreets on New Year’s Day. Members of Ahmadiyya Muslim Youth Association (AMYA) Yorkshire will be giving up their time to clear up litter following New Year’s Eve. New Year’s Eve is one of the biggest – if not the biggest – party night of the year in Huddersfield and it is expected there will be larger amounts of litter on the town centre streets than normal on the morning of New Year’s Day. After a special prayer, AMYA members will be donning hi-vis jackets and heading to the town centre to pick up rubbish, sweep the streets, and make sure everything is tidy for the New Year. As well as showing public spirit the volunteers hope to offset the cost of the New Year’s Day clean-up which is borne by Kirklees Council. 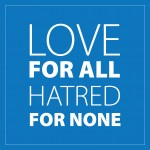 Members of the Huddersfield AMYA branch will be meeting at Barclays bank, Market Place, at 9.30am. Volunteers are welcome to help the group. For more details ring Fatih Ul-Haq: 07547 870197. 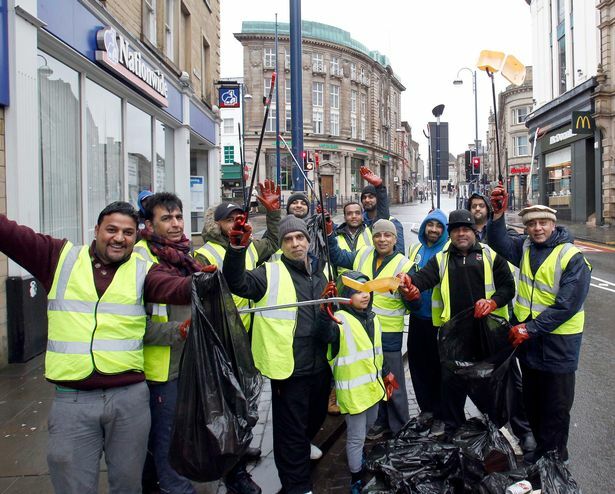 The Huddersfield clean-up takes place as part of a day of clean-ups in 50 towns and cities across the UK by AMYA members. Nadeem Ahmed, regional youth leader from Yorkshire, said: “We’ve been doing the New Year’s clean-up for many years now, and each year we see more and more members coming to help. AMYA vice president, Adam Walker added: “Islam urges every Muslim to partake in charitable giving, community service, and promote cleanliness. “AMYA has and continues to instil young people with a sense of civic responsibility, and a desire to promote harmony within our local communities.